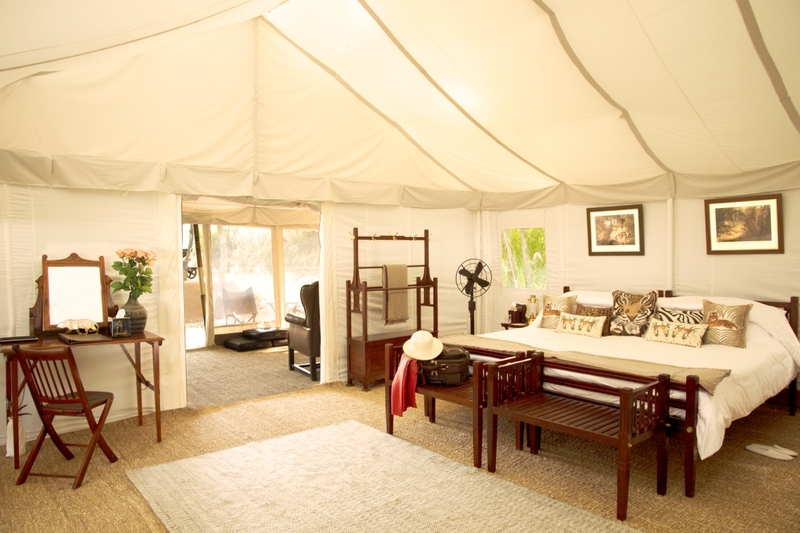 Each luxury tent, was replaced, enlarged and appointed with new linen and upholstery. In addition, Sher Bagh has unveiled two magnificent new suites – The Royal Suite and The Luxury Suite. The Luxury Suite comprises its own private walled-in garden, which covers a space of 2500 square feet and includes a Jacuzzi and ‘open air shower’. 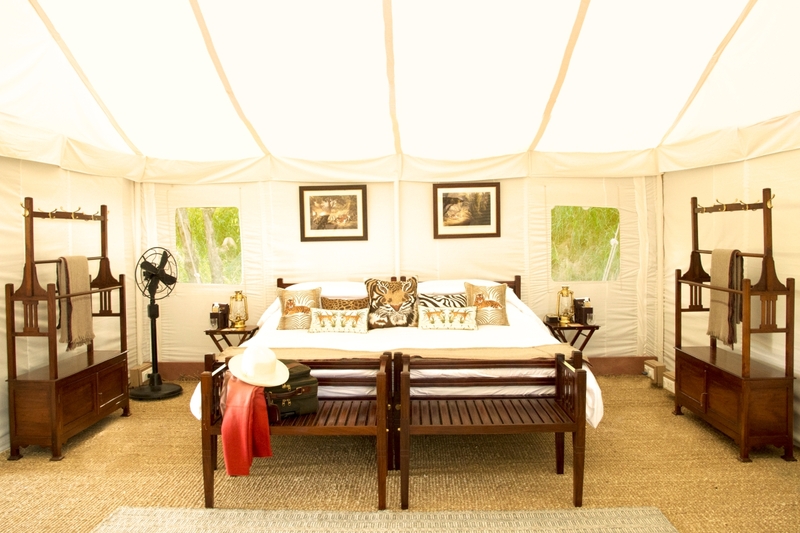 Continuing the signature style of Edwardian Raj on safari, The Luxury Suite is embellished with campaign style furnishings. 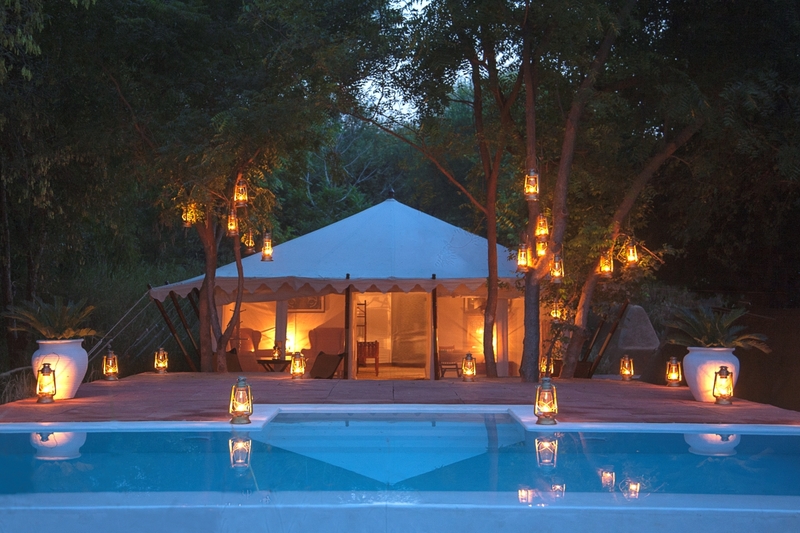 The suite features its own netted verandah and is enclosed by natural, hand-built mud walls and is only a short walk from the famed Sher Bagh campfire. 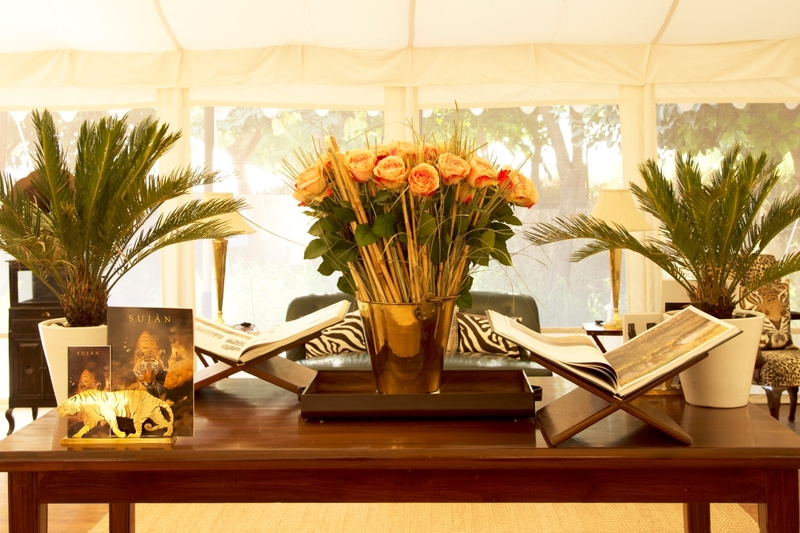 Private Butlers are assigned to both suites and they are always on hand to help, without intruding on guests’ privacy. A Spa Therapist will revive weary limbs, conducting treatments in a comfortable spot of your choice. 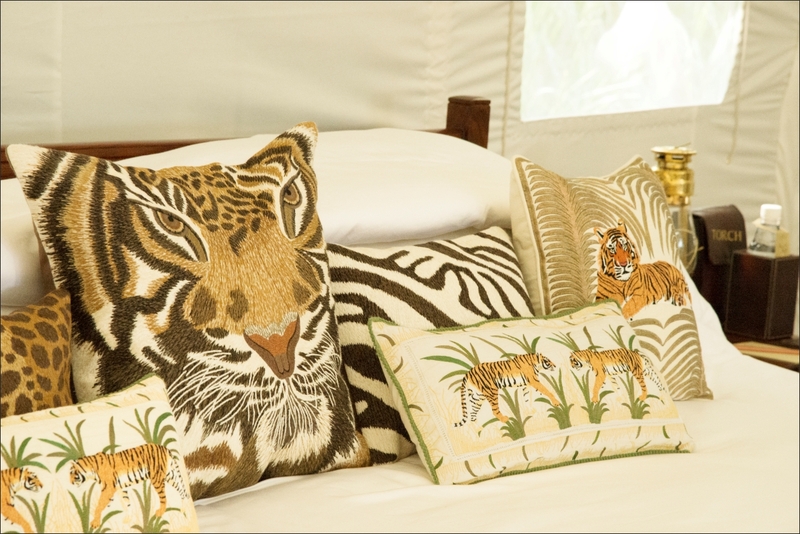 To celebrate Sher Bagh’s 15th season, quintessentially British luxury goods retailer Halcyon Days has designed a range of products exclusively for the camp. Their artists worked with SUJÁN’s Creative Director & Owner Anjali Singh to produce designs that can be seen around the camp and in each of the tents. The collection is also available to buy in Sher Bagh’s new ‘Safari Chic’ Boutique. 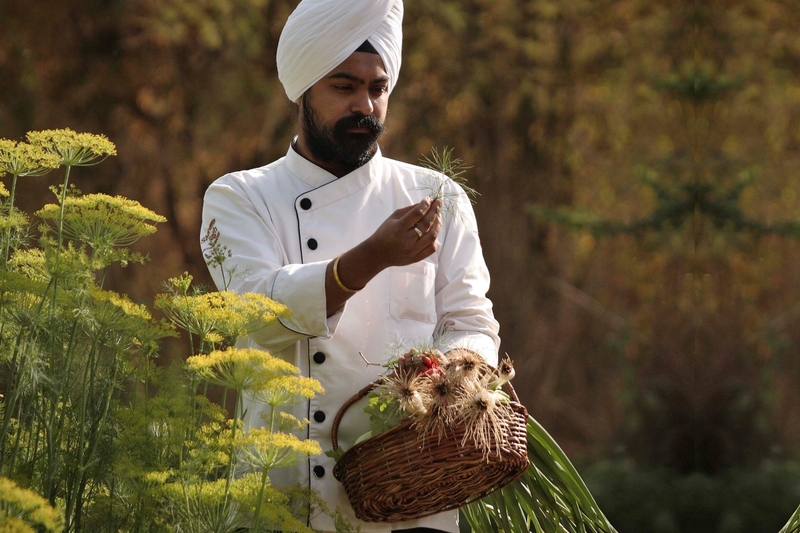 Sher Bagh has also enlarged its outdoor kitchen, and the team have been joined by new chefs who continue to use the fresh ingredients from the camp’s Organic Herb and Vegetable Garden to create outstanding meals. Each guest is loaned carefully chosen equipment, including binoculars, cameras and mobile canteens to accompany them into the national park. An even larger fleet of customised 4×4’s was installed at Sher Bagh. Modified and specially designed ‘Safari-Shocks’ deliver a smoother ride and the vehicle’s tyres are selected to suit the terrain. The drivers share over 100 years experience of scouting and tracking wildlife in Ranthambhore. The modified vehicles and attentive drivers ensure that guests have a safer and more comfortable game experience. For booking enquiries please contact reservations at SUJAN on Tel: + 91 11 461 727 00 / Email: reservations@sujanluxury.com. This entry was posted in India, Rajasthan, Ranthambore, Safari, Spa, Tiger, Travel, Wildlife and tagged #LuxuryTravel, Culture, Family Travel, India, Luxury, Rajasthan, Ranthambhore, Safari, Spa, Sujan, Sujan Luxury, Tented Camp, Tigers, Travel, Trident Hotels, Wildlife. Bookmark the permalink.